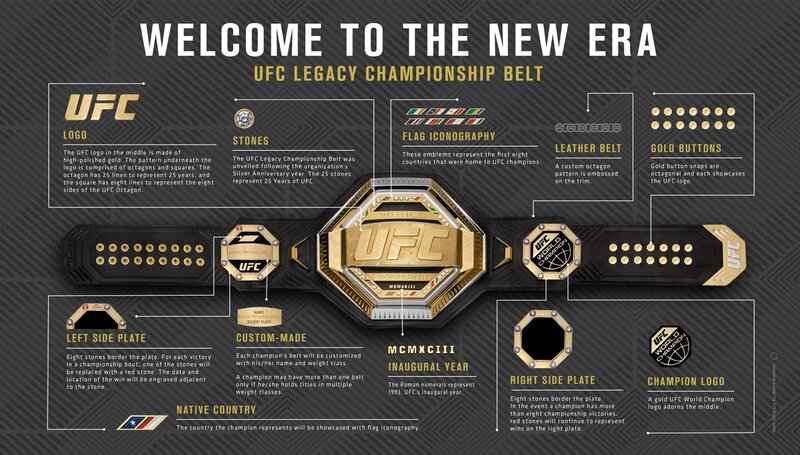 The UFC unveiled their new Legacy Championship belt, which will be awarded to those who win title bouts and used for the duration of their career inside the octagon. The belt is customized for each individual champion by the athlete’s country, weight class and red stones on the side plates representing each title defense. The women’s championship belt will be slightly smaller, however, identical to the men’s belt in every other detail. Each belt comes with a plate on the backside with a unique serial number assigned to the specific champion. UFC President Dana White’s engraved signature is also included for authenticity. Flag iconography on the belt will be represented by the first eight countries that were home to UFC champions. USA, Canada, Brazil, Netherlands, Poland, Belarus, UK and Ireland. Mark Coleman (USA) was inaugural heavyweight champion. The first belt will be presented at the UFC’s debut on ESPN+ streaming service when Henry Cejudo defends the flyweight title (125 lbs.) against bantamweight king (135 lbs.) T.J. Dillashaw. 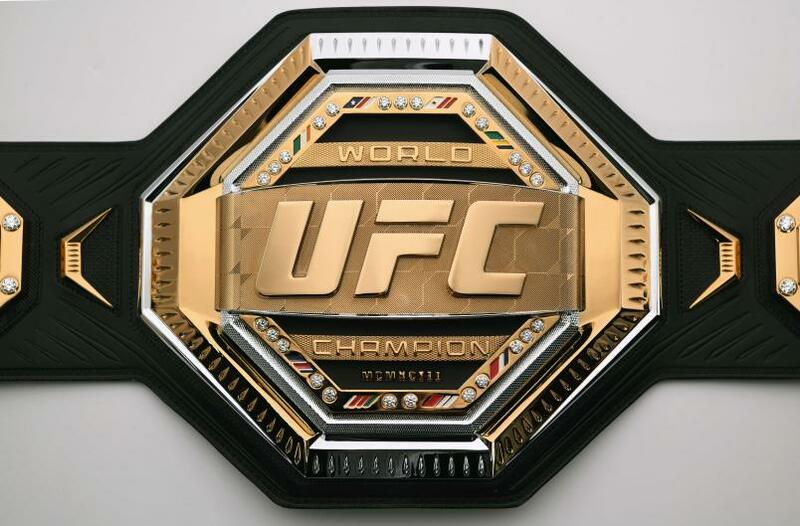 Both fighters will enter the octagon with proceeding title belt, which the new legacy design and awarded to the winner. The global motif of the belt is representative of a true world championship. The belt actually says “world champion,” unlike the previous incarnation. The center plate looks clunky and lacks a certain sleekness. 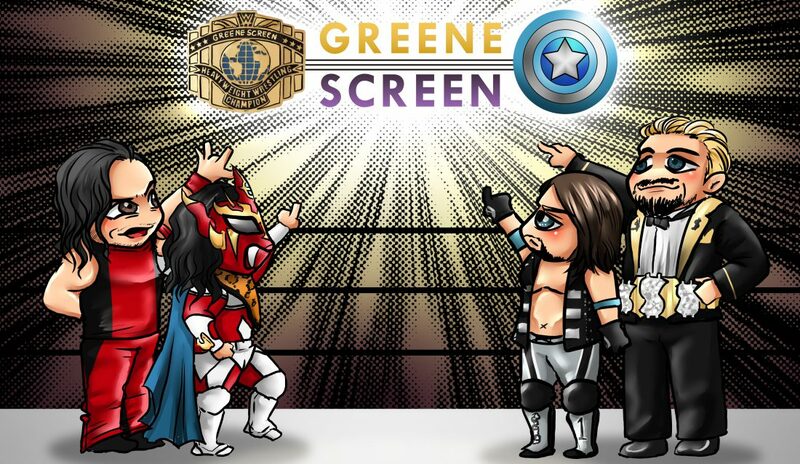 Overall, the new title looks very 2019 and carries an ambitious exhibit of accomplishment and celebration.